Out Of Stock Until 10-5. American Heritage indoor furniture is designed to last a lifetime, and that design is backed up by generous warranties. 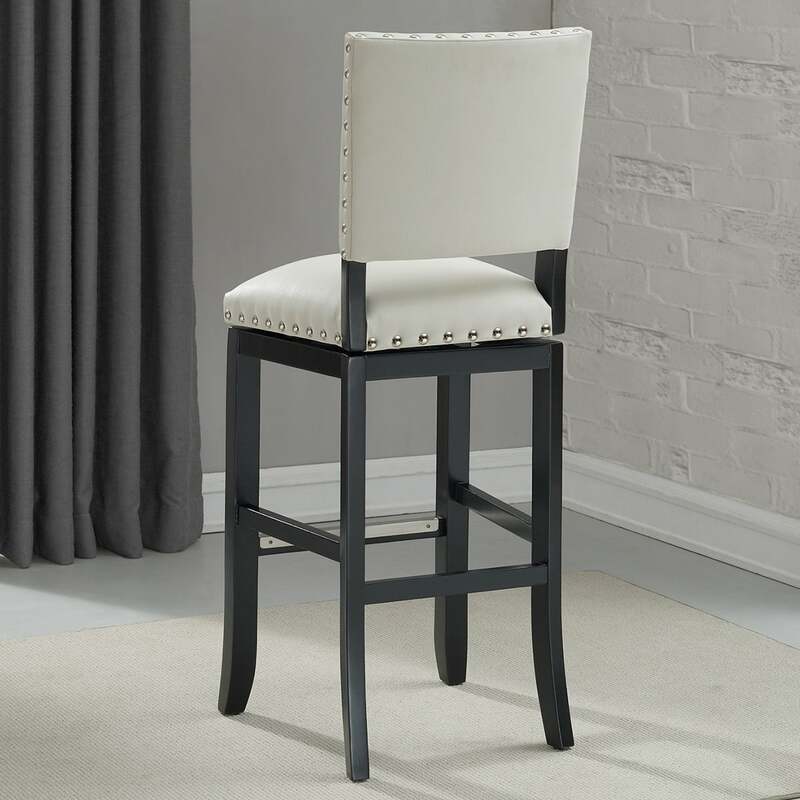 The Jaxon Counter Height Stool is made with a sturdy Mortise & Tenon construction technique. The chair is made with hardwood that is finished in a deep, mature shade of black. 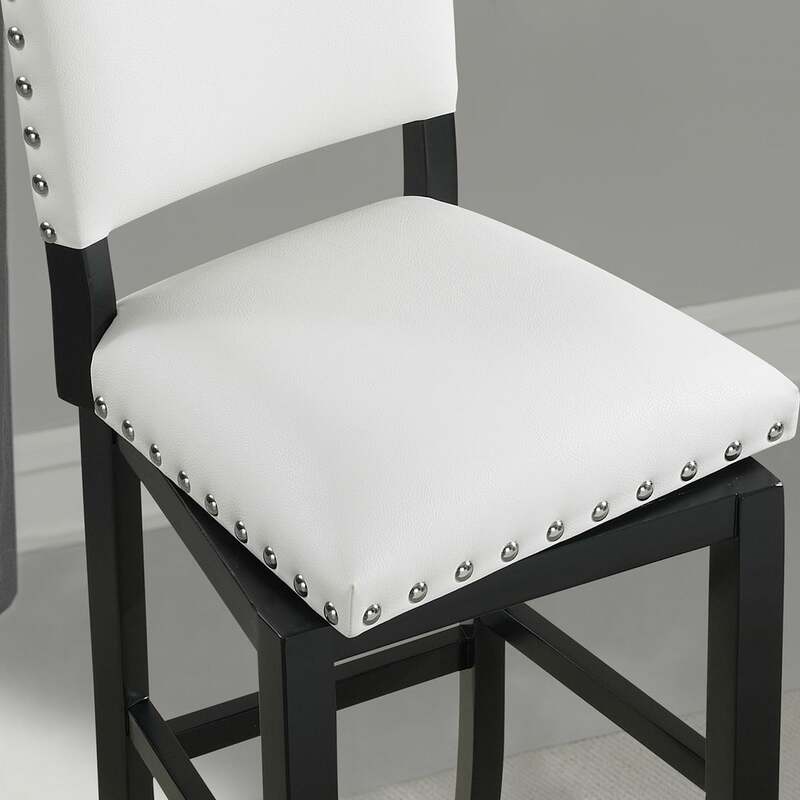 The cushion is thick to offer support and comfort, and it is topped with a bonded leather material. The bonded leather material looks and feels like traditional leather, but it withstands test of time better than traditional leather does. 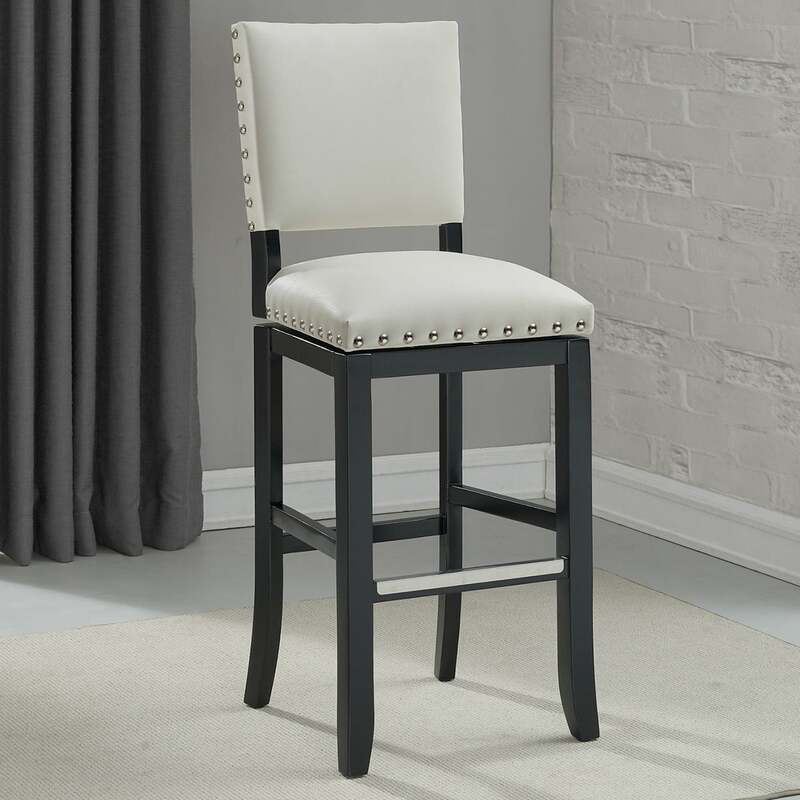 The Jaxon Counter Height stool from the American Heritage indoor furniture collection is distinguished and comfortable, with a high seatback, a brushed steel footplate and a thick, white cushion.